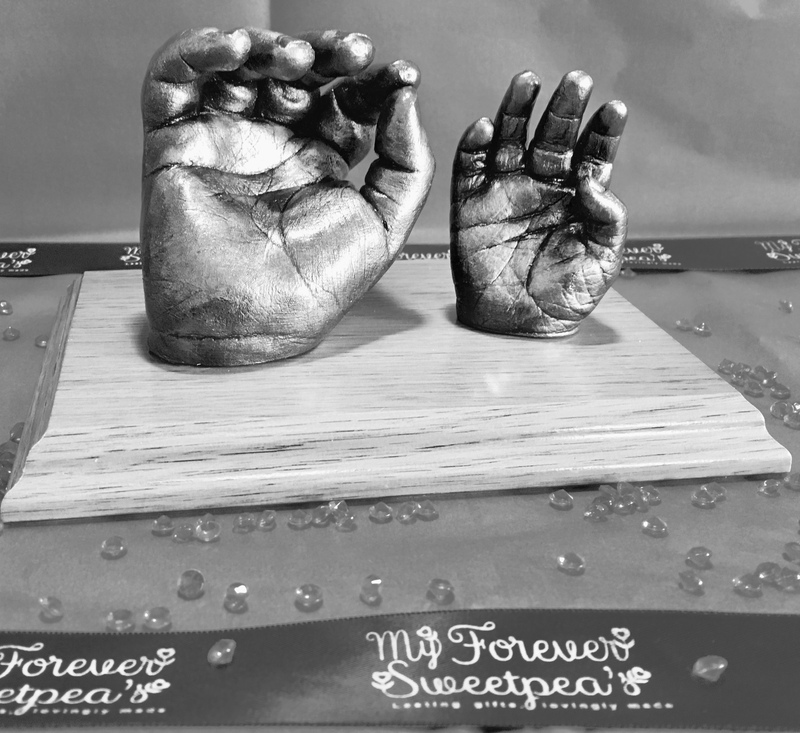 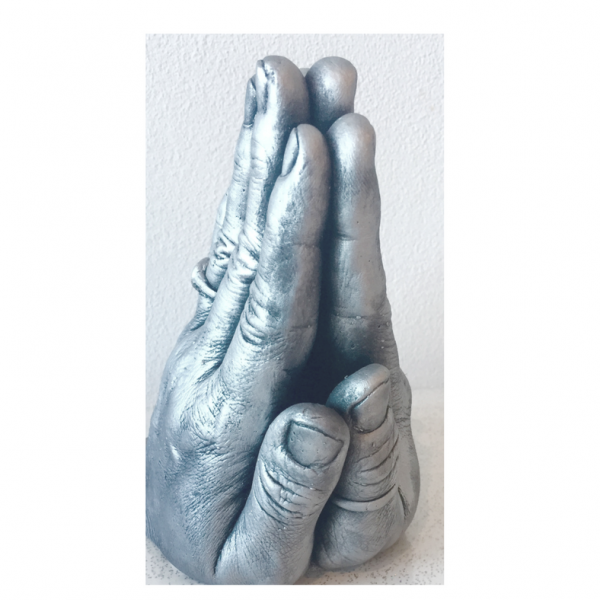 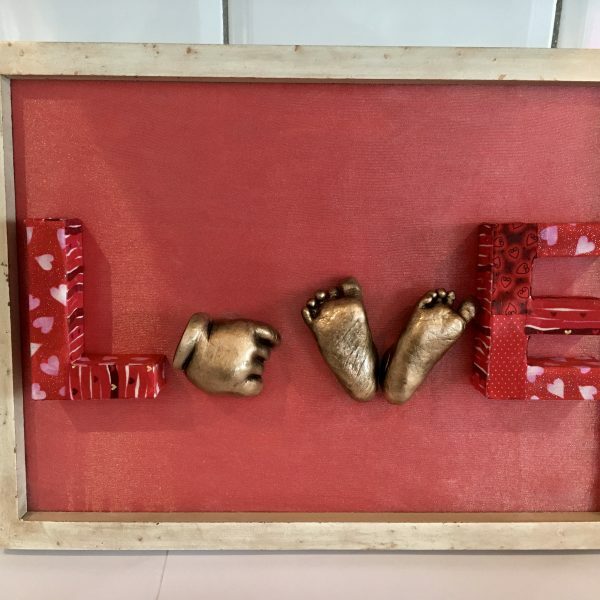 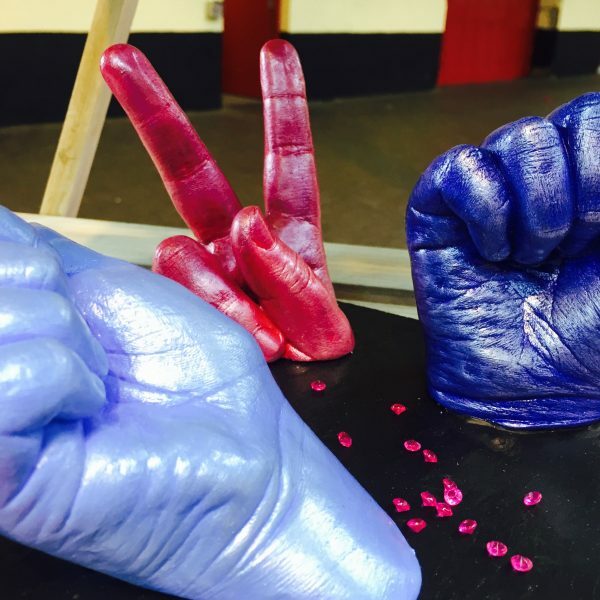 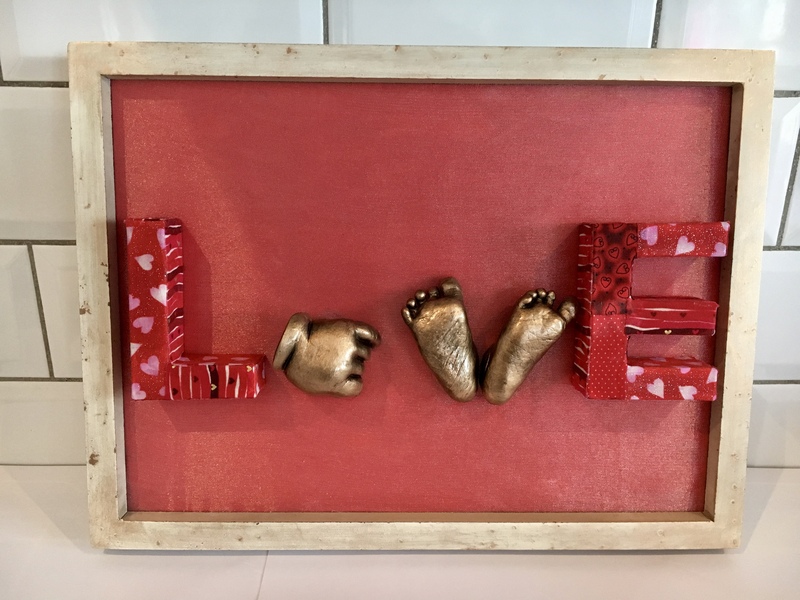 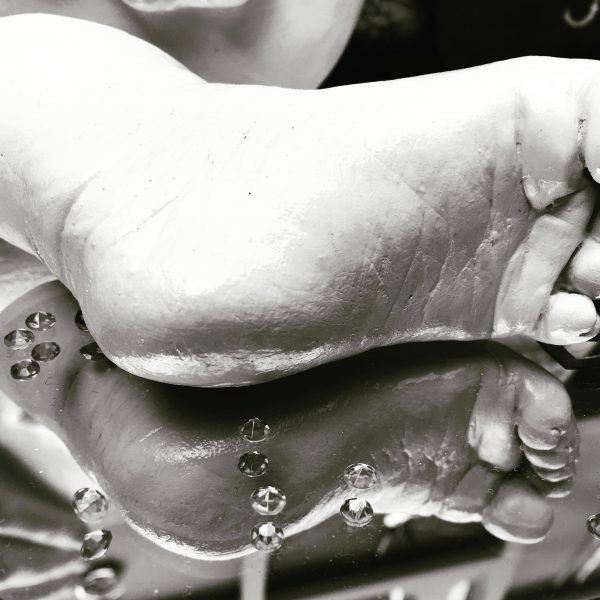 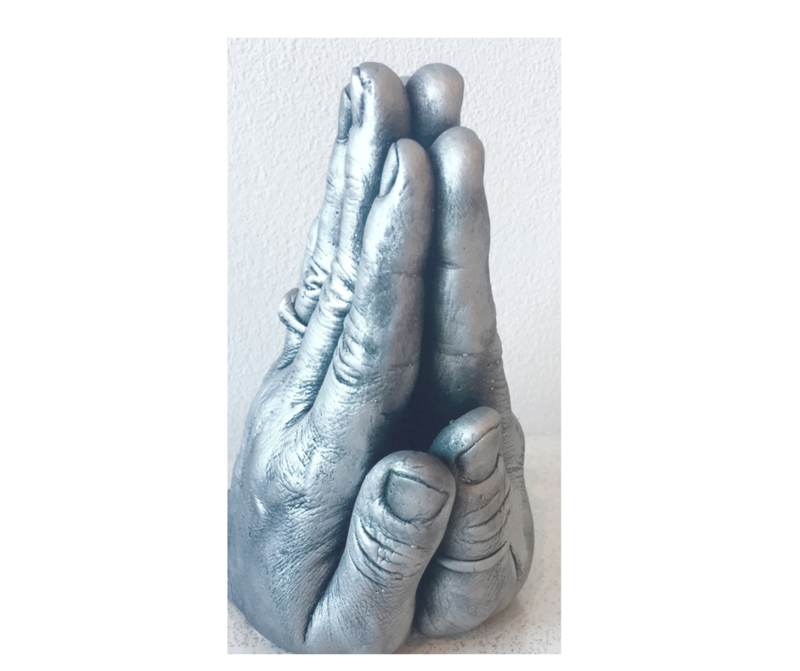 Here at My Forever Sweet Pea’s we create unique 3D castings of your baby, child/ren, family or loved ones. 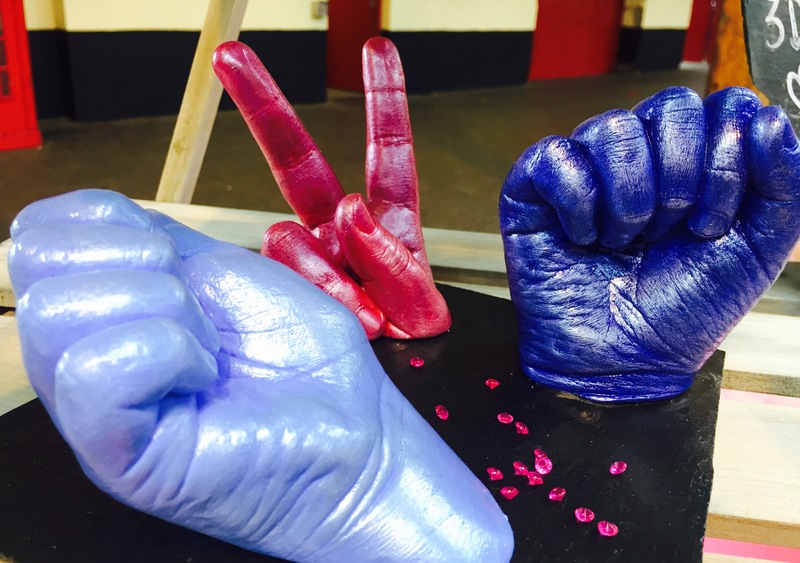 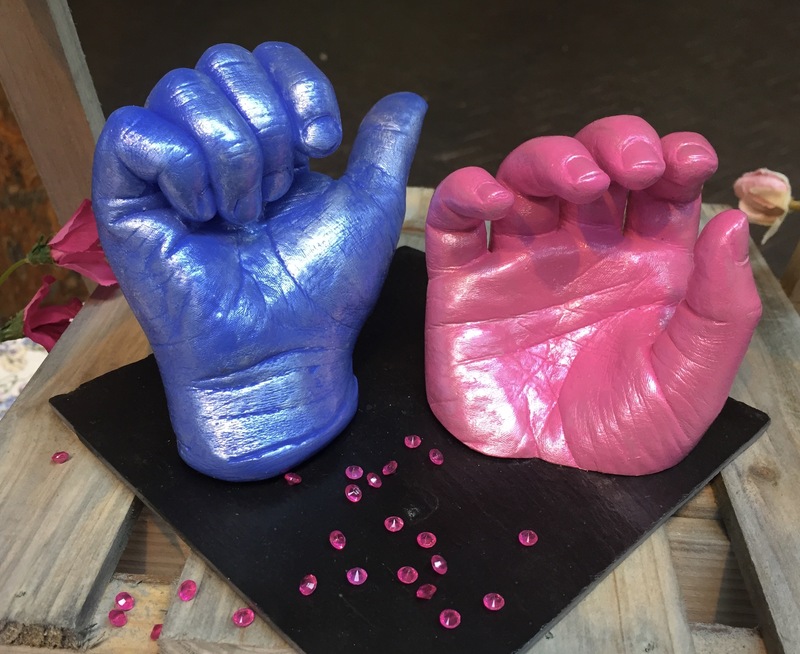 3D castings can be finished in a number of effects and colours including, natural, gold, sliver,bronze, pearl, baby blue or pink. 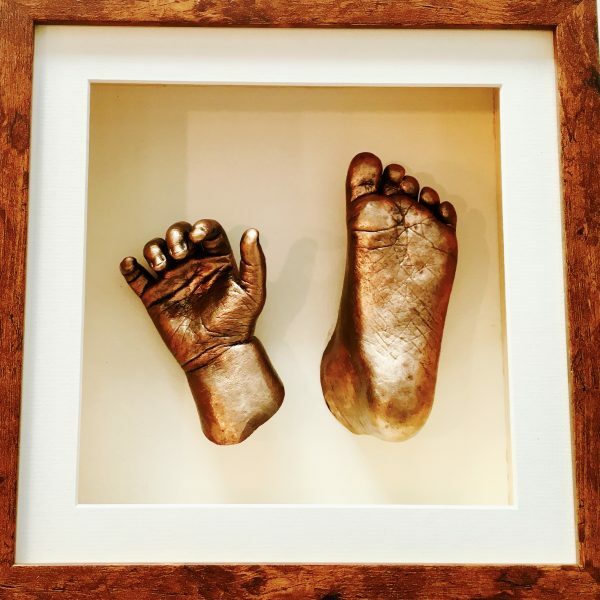 They can be framed with a photo of your loved one or kept free standing for all to admire. 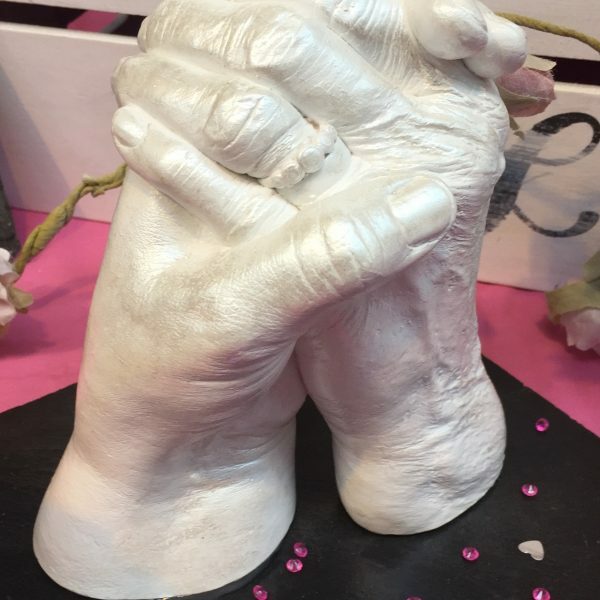 See full details including prices and how to book an appointment below. 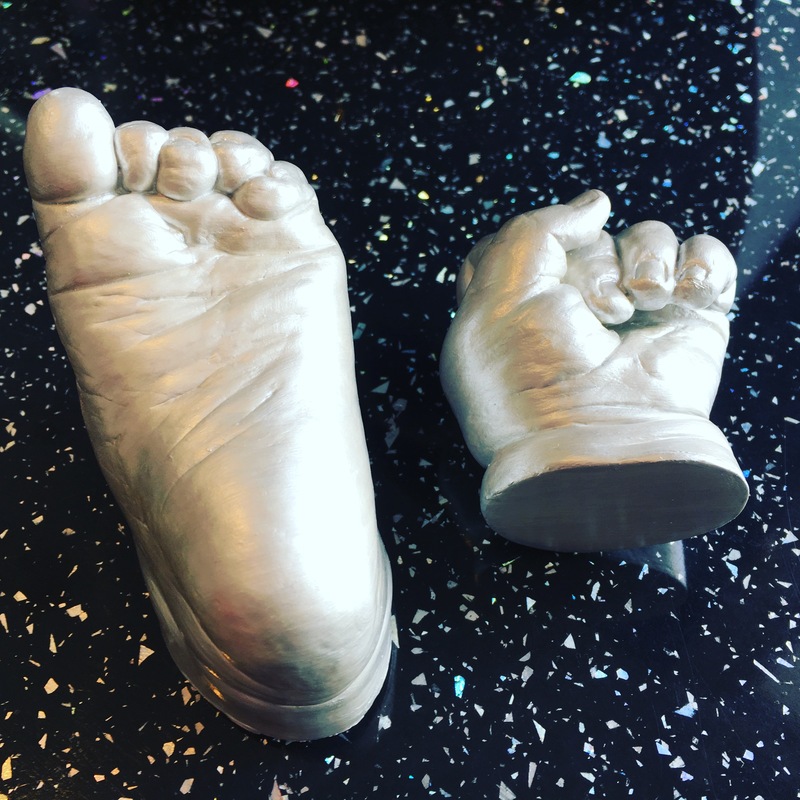 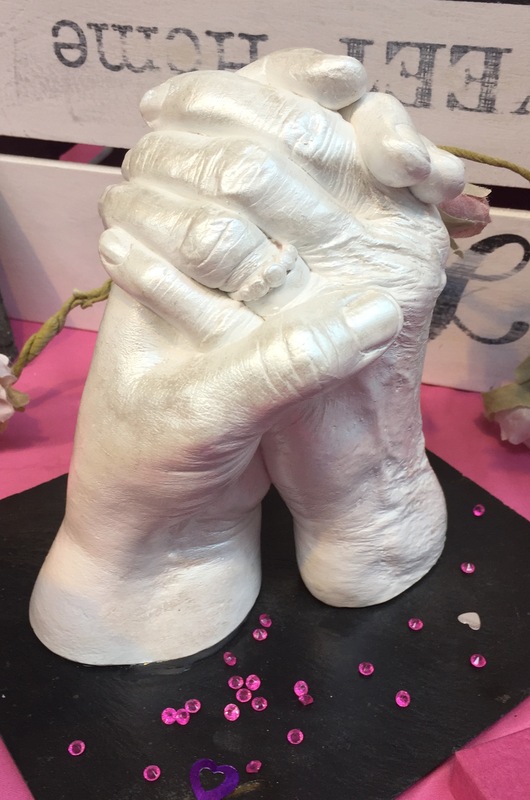 With a 3D casting we can capture every detail of your loved one/s precious hands and/or feet. 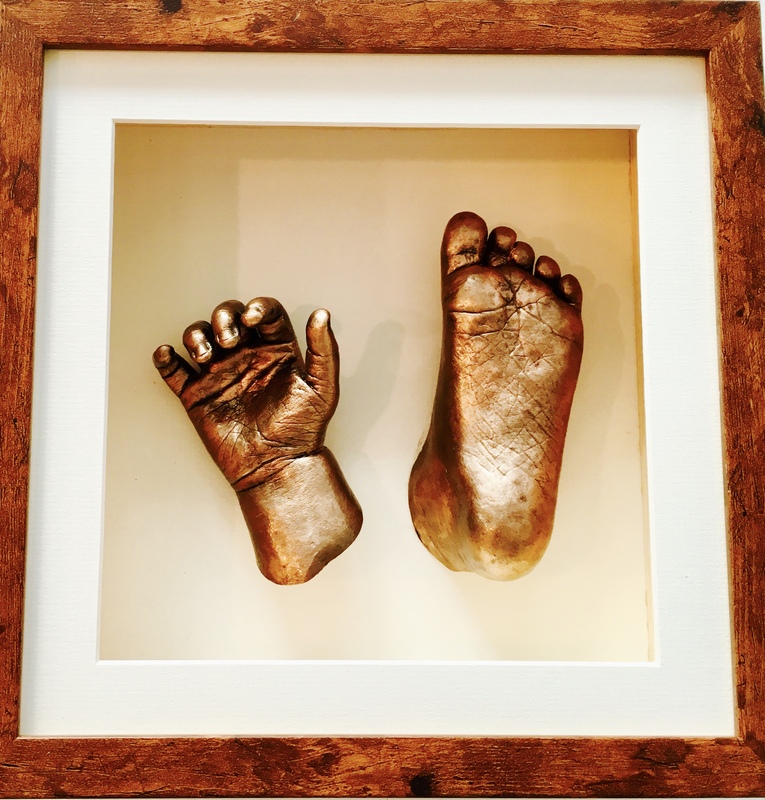 Placed inside a frame of your choice, freestanding or mounted on a mirror or slate tile, they truly do look amazing. 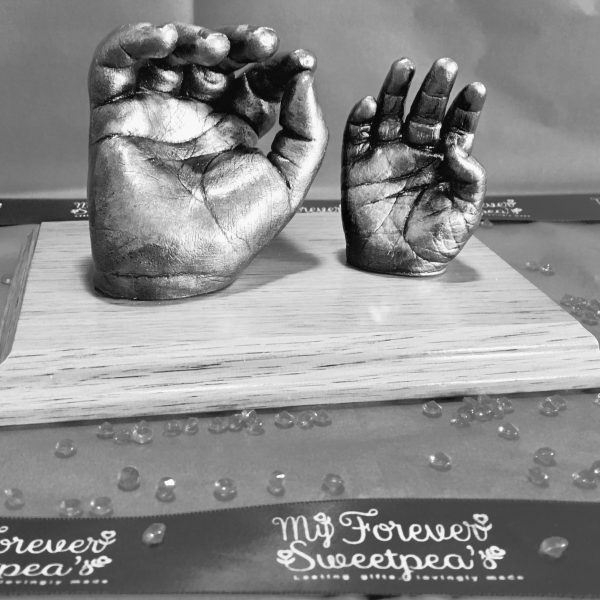 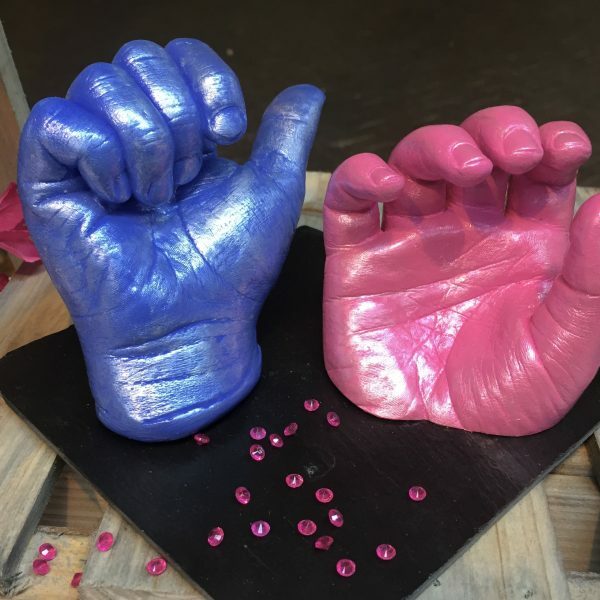 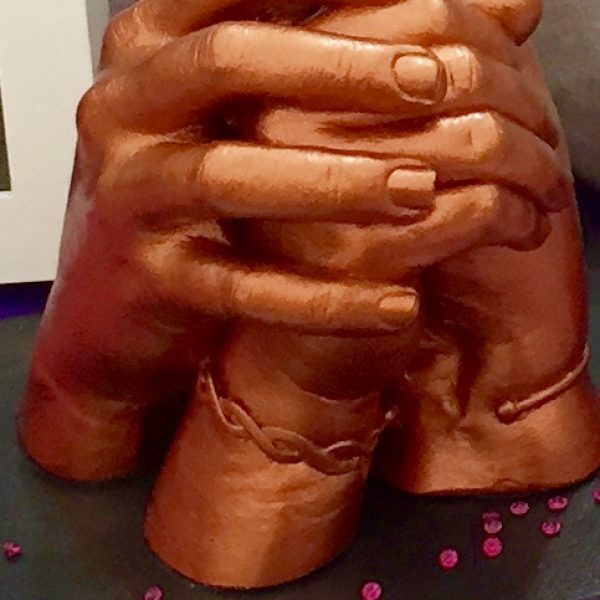 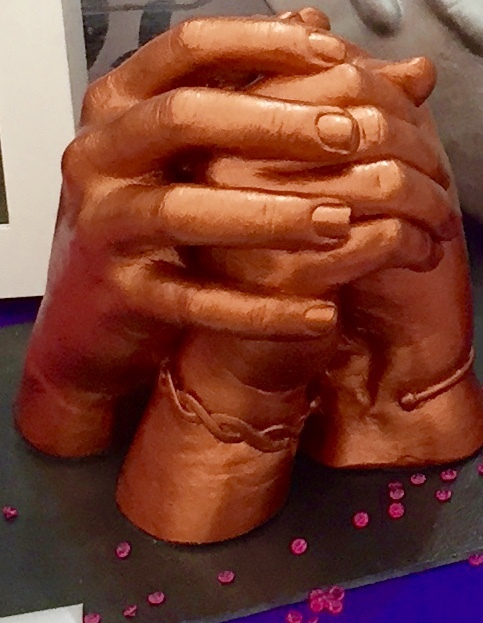 We can cast your whole groups together holding hands, a parent and child holding hand, or any number of combinations..please feel free to discuss any design ideas you may have. 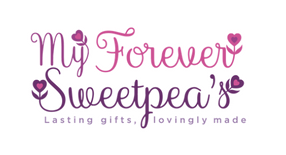 Appointments can be made by contacting Fiona on Tel.07891710974 or emailing fiona@myforeversweetpeas.co.uk .